To be honest, before receiving chiropractic care, I wasn't completely aware of how my daily life and activities had been affected by my health problems. But now, I think back and realize that aside from the pain in my neck and arms, my overall health was compromised. I can tell a complete difference in my mood because before I was very impatient and quick tempered due to my discomfort. I now feel like I am actually pleasant to interact with. The night before my first appointment with Dr. Christina, I was in so much pain that I laid on my living room floor and cried. Most of my pain was in my neck and shoulders. On a scale from 1 to 10 my pain was about an 8, 10 being the worst. My husband was beside himself because he wanted to help me, but he didn't know how. My mother-in-law had been encouraging me for several years to give chiropractic a try, but I resisted stubbornly. I finally relented as she had expressed how good she felt and how much she enjoyed the relief from getting adjusted regularly. Every visit Dr. Christina asks me how I am and I tell her I am amazing, but the truth is she is amazing as well as her staff. They are so good to me and I leave the office feeling relieved and well. 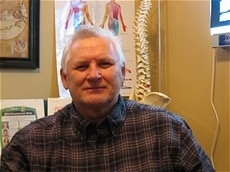 I have been a patient of Bukaty Chiropractic since 2006. At that time I had extreme neck pain that radiated down into my right arm and progressively reduced mobility of my neck. My son in law was being treated by Dr. Bukaty at the time for his neck problem and suggested that I see if she could be of help to me. I received Chiropractic treatments three times per week for about a month, and then reduced to once a week. After about six months I was completely pain free and my neck mobility was near normal. I have followed up every three to four weeks with a maintenance treatment, and have had no recurrence of neck pain or impaired mobility. 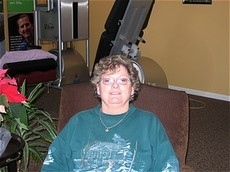 pIn January 2010 I began to experience severe lower back pain that extended down my right leg. The condition worsened to the point that I could only walk a few feet without having to sit down. I went to Dr. Bukaty about my problem. 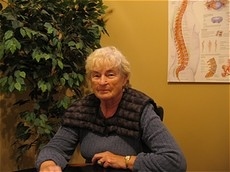 After several treatments she felt that my symptoms indicated that I had a herniated disc, and recommended a six week course of treatment consisting of Spinal Decompression, core strengthening of my back, and chiropractic treatments. This process sounded far better than having to consider surgery or other forms of treatment! I have completed the six week three part process with great results. I am once again without pain and have resumed my normal activities including extended walks. 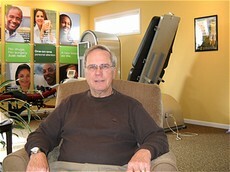 In addition, last summer I took part in the Take Shape For Life weight loss program offered by Bukaty Chiropractic. In a three month period I was able to lose 35 pounds. The process was not difficult and I look and feel a lot better. The entire staff at Bukaty Chiropractic are very capable at what they do, and constantly make me feel that they are genuinely interested in my well being. I highly recommend Bukaty Chiropractic to anyone who is suffering from back or neck pain, or who is looking for a very effective weight loss program. I was having mid back pain which was making me frustrated and depressed. I also have acid reflux which was causing pain and aggravation. I was in an overall bad mood. I was a little hesitant about the treatments but not about the science of Chiropractic Care. The treatements were gentle and painless. My back pain has vanished with the correcting of my spine. The supplement that was recommended and that I began taking for my acid reflux has worked great too. I began care at Bukaty Family Chiropractic because of an accident at work. I couldn't stand for prolonged periods of time or bend over. Since my first appointment, I could tell that I was improving, and physically there was reduced pain!Now I can work "pain free", and play sports with my young nieces. If you're looking for a great chiropractor, I recommend Bukaty Family Chiropractic because Dr. Bukaty truly seems to care, she prides herself in being a perfectionist and her staff are attentive, knowledgeable, and responsive. Dr. Christina is not only my chiropractor, but my son Quinn's. 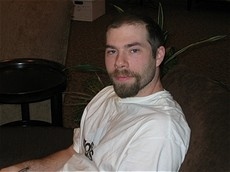 His asthma and allergies were so out of control that medicines were no longer helping at all. He was only 8 years old! One visit and Quinn was able to breathe easier. His constant barking cough abated and he only needed his inhaler sporadically. Now 14, Quinn comes for seasonal adjustments. Truly a miracle. I started taking my son Alex to Dr Christina three days after his birth, his birth was rather trau matic and he couldn't even nurse on the left side, she adjusted him and immediately he nursed just fine so we didn't have anymore adjustments for awhile but then he started to develop chronic ear infections, he had them all the time and I told Dr C she said bring him in I can help. His chiropractic adjustments helped the ear infections but they still kept coming back, partly my fault because I should of done more regular adjustments so we had the surgery for tubes, well the surgery didn't work the tubes came out and still ear infection after ear infection and they told us he would most likely need a second surgery. The idea of this second surgery came up about six months ago at the same time I was telling Dr C that no matter what I did Alex at the age of 4 was still in need of wearing a diaper to sleep because he always woke up wet and unbeknownst to me there is also an adjustment for that, this past summer she adjusted him and I decided to put it to the test and took away the diaper at night, I am very excited to say we have gone since June sleeping in underwear with only 1 accident. Right after he had the accident I took him to Dr C again and that was our only accident to date! I am so excited about this and Alex is a proud little guy! Also to update the ears, during the course of getting adjusted for his bed wetting we have been getting him adjusted regularly and have not had an ear infection since, I cancelled his presurgery appointment and think we are on the road to no surgery thank god and Dr C.
If you have a bed wetter or even a child that has accidents anytime take my advice and give it a try, you children can only benefit. Take your children to have chiropractic adjustments for wellness and everything in between and see for yourself all the positive results it's amazing! Before coming to Bukaty Family Chiropractic, my 2 year old daughter had experienced 14 ear infections from the age of 9 months to 2 years, even with the tubes we saw no improvement. I heard that Chiropractic care could help so I decided to have my daughter see Dr. Bukaty. I was a little skeptical, even though I thought it would help, I thought it would take a long time to see any improvement. After getting her adjusted, I was very impressed by the results we saw and how quickly we saw them. At my daughters 2 year old physical there was no fluid in her ear! This was the first time her ears were that clear in the last 18 months. I have had neck and lower back pain for over 20 years. My specialist said that my only option was surgery. I said "no way" to having any type of surgery. My daughter had read an ad about Bukaty Family Chiropractic and Spinal Decompression and wanted me to give it a try. I met with Dr. Bukaty and she told me I was a candidate for Spinal Decompression. I decided to start although I didn't really believe I would get much out of it. Once I decided to start the program I didn't expect to get that much relief. Well, it sure did. I feel like a new person. I can live my life and do regular activities including my gardening without any pain at all. I fully recommend that anyone who has back problems to give Bukaty Family Chiropractic a try. It can change your life like it did mine. The staff at the office is very helpful, kind and caring. Thank you Dr. Christina. I am 75 years old and have struggled with chronic back pain and right leg pain for at least 25 years during which time the pain became increasingly problematic. It interfered with my daytime profession as a teacher and also affected my routine exercise, walking, shopping, gardening and most everyday activities including sitting and standing. Medications lessened but were not effective in eliminating the pain. During a recent trip to Alaska, which involved a land tour followed by a sea cruise, my condition worsened and I had to resort to a wheelchair on the ship and at the airport. Lucky for me, Dr. Christina recommended a new treatment called spinal decompression. After completing the specialized protocol over a period of 5 weeks, I am completely pain free. A properly aligned spine, increased strength and flexibility allowed me to walk on the sand and the pier and up to 2 miles a day in Myrtle Beach. I now have confidence that I have gained another 20 years of an active satisfactory quality of life. Whenever I notice a friend or aquaintance walking with a limp, or complaining of back pain, I do not hesitate to recommend this special therapy with Dr. Bukaty. 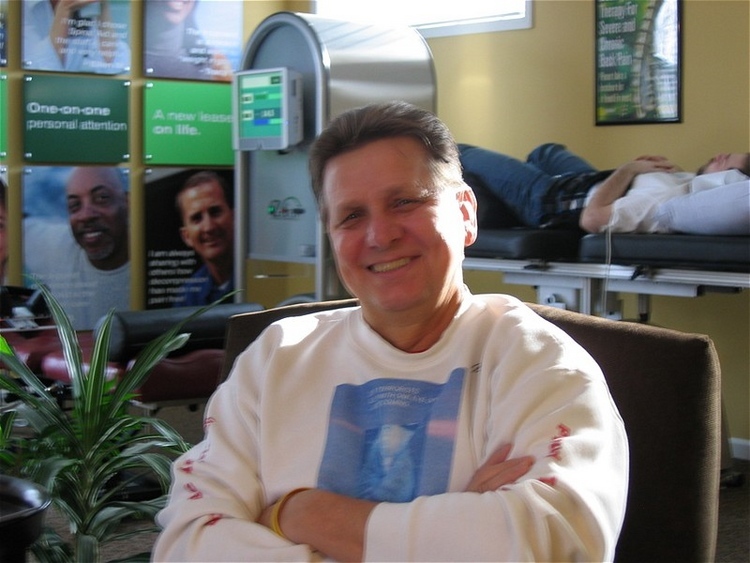 Spinal Decompression changed my life. When I first arrived at Bukaty Family Chiropractic I was a mess! Every time I took a step I was in so much pain that I wanted to cry. I was unable to play tennis, play golf or ride my horse. I was depressed and I could not stand getting up in the morning. My pain was a direct result of a disc herniation between L1 and L2, along with an annular tear at L5-s1. Physical Therapy was not working and I was taking pain medication regularly. I visited Dr. Christina through a friends recommendation, and after a free consultation and exam, Dr. Christina suggested I start spinal decompression. I was willing to try anything at that point so I agreed. Along with spinal decompression, I went through core strengthening and regular chiropractic adjustments. Within 10 sessions I was starting to improve and after 20 I was like a different person. Today, as a result of Spinla Decompression therapy, I am happy to say that I am Pain Free! I ride my horse competitively, and I am back to playing tennis and golf. I can't say enough about Dr. Christina, her husband Leo Eckman and Sue. 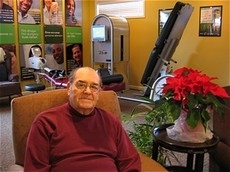 They are all committed to the health and well being of their patients. I would not hesitate to recommend Spinal Decompression therapy to anyone. I have had severe back pain for over 4 years, mostly due to spinal arthritis and bulging discs in the lower back. This condition has hindered my normal way of life. I would play a round of golf every week but the pain was so bad I would have to quit after 12 or 13 holes and just ride the cart or just skip that week. I could hardly enjoy my hobby of woodworking and I had difficulty picking up my grandchildren and I was taking multiple pain pills everyday. After consulting with my Chiropractor, Dr. Christina Bukaty D.C., I started a program of spinal decompression and core strengthening. About 2 weeks into the 6 week program I started doing some things that the pain would prevent me from doing before. After 3-4 weeks I was golfing a full round, I was working on woodworking projects, I can pick up my grandchildren and I am almost completely off all my pain medications. I was seeing a different chiropractor for about a year and it seemed as though the care I was under could not help me any further. I developed stenosis and could not get proper help until I was referred to Bukaty Spinal Aid of WNY. I was apprehensive at first but as I progressed with my treatments I started feeling better. Not really knowing what to expect from cervical decompression, I can say my life is a lot better. The staff was both knowledgeable and caring. Any questions I had were answered in full. The scheduling for my appointments were very flexible as well. The way that I'm feeling speaks for itself. I have already referred some of my acquaintances, telling them a visit to Bukaty Spinal Aid would help them in the long run as it has helped me. I am 75 years old and have had back problems since I was 20 years old. I have spent years in pain. At one point I was told I would need surgery. I refused to let them put a knife to my back. I have gotten some relief with the help of chiropractors. I first met Dr. Bukaty at the Erie County Fair about 6 years ago. I became a patient and she has helped me ever since. For the last couple of years though I have had more trouble walking any more than the length of a street. When I was told about the new procedure,non-surgical spinal decompression, from Dr. Christina I gave it serious thought. I decided to try it. The results have been great. I can now walk alot further and keep up with my wife. I still get some pain if I am busy with chores but I sit down and rest for a short time and the pain goes away. I would recommend this program to anyone with back pain. Try this before you choose surgery or dangerous drugs. 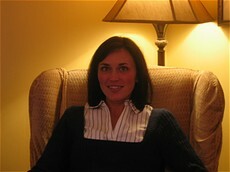 Dr. Christina takes personal interest in all of her patients. You are made to feel welcome every time you walk into the office. Thank you for helping me get my health back. Initially I was very skeptical but desperate to relieve my discomfort. I was also afraid that I would spend the money and really not be any better. When I first came in for my free consultation i felt very comfortable with the way everything was explained to me and I felt there was no pressure. I was even offered a trial period to experience spinal decompression first hand without any cost or obligation. The staff at Bukaty Family Chiropractic and Decompression couldn't be nicer or more accomodating. I was taken care of in a very comfortable, homey environment. I also have been involved in their core strengthening program which has definitely helped because I had very little core strength prior to doing this program. The spinal decompression worked and my whole experience at Dr. Bukaty's office has made a huge impact on my health and overall happiness. It was the best investment in my health I have ever made. When I first came to Bukaty Spinal Aid of WNY I was a little apprehensive and knew very little about spinal decompression. After seeing the video I thought OK this could work. Now that I went through with the therapy, I realize it was the best thing I could have done. I no longer wake up with pain in my back. I am back to doing everything I did before and more. Ask my grandkids about it, they are glad to have their grandma back! Without a doubt, this was the best experience I've ever had with a chiropractor. The office personnel are very polite and very informative. I am very comfortable and I am going to miss coming 4 times a week. My overall experience at Bukaty Family Chiropractic was and continues to be excellent. The staff is very caring and they explain everything to you before anything is done. They were very involved with explaining things and let me be involved in the decision making, they didn't just tell me what to do. I went through 6 weeks of Spinal Decompression therapy and I can say that my expectation were completely met as I have no back pain or soreness at all. I have also been undergoing the core stregthening program and that has made my back alot stronger. I would recommend Bukaty Family Chiropractic to anyone interested in Spinal Decompression. My entire adult life, the work I had to perform eventually brought me to the point where my body needed help, especially my back, because it limited my performance and activities. I have been going to Doctors with my back pain for many years and found no relief. Seeking additional medical help, my daughter recommended Dr. Christina Bukaty. In my good fortune Dr. Christina started Bukaty Spinal Aid of WNY. Finally with the Spinal Decompression treatment program I am relieved of any pain. Thank you Dr. Christina. Prior to starting the spinal decompression program I couldn't stand, walk and needed help dressing and bathing and when it was at it's worst I had no life. As far as my alternatives were concerned, other doctors didn't give me much information, but I knew I didn't want surgery. My husband recommended Dr. Bukaty and brought me home information about Spinal Decompression. Now I'm bathing, walking, standing, doing housework, have a better disposition. I'm glad I came to the office because I feel alot better. The office is very relaxing and I'm always better when I'm done with the treatments. There is no waiting and the environment is not sterile or scary, like many other doctors offices. As we all know quality of life is an important thing. Work unfortunately is one of those things you cannot get away from. Being hurt at work can be a misfortune to anyone. I had suffered a severe work related accident. I was laid up for 6 months and no options but surgery, then I found out about Spinal Decompression. Thanks to the help of Bukaty Spinal Aid of WNY, I have seen rapid and lasting results from this new treatment after not being able to walk for 6 months and being mostly bed ridden. I was skeptical about my first spinal decompression treatment, but this non-invasive treatment relieved me of a significant amount of pain on my first visit. Every visit to the office has improved my condition. I would highly recommend this procedure to anyone who has been told that surgery is their only option. With a top notch team at the Bukaty Spinal Aid facility, not only are you on the right track to health and wellness, but you are cared for by the best staff in the business.